Making a geological model from Sand! I’ve been doing job applications this weekend and frankly I’ve been getting very bored, so this afternoon I decided I would wash away the boredom with a fun little project which I’d always wanted to have a go at but never really had the guts to try out. The completed model with labels illustrating the important features. It’s the sort of thing you see in smaller museums all the time – although they are usually based on real sub-surface geology in a relevant area, while this one is completely fictional! 1. Decide what geological/geomorphological features you want to show: for me this was to show three of Nicolas Steno’s laws of sedimentology – superposition, original horizontality and cross-cutting relationships – then I just added stuff as I went along like the channel fills and the scarp slope (good way to use up spare sand that one!). 2. Gather up your materials: I used mostly builders sand, but beach sand will do just as well, or if you really can go for broke… go find all the different colours of sand naturally. I also used a few other things from my model railway cabinet (ballast/mock coal/flock for the grass/lichen for bushes) – these of course are optional extras. – pro tip number 1: don’t do what I did and use sand you found lying about in a bag in the garden… I had to rescue/evict many of my invertebrate cousins during the build! 3. Colouring your model: At this point you can either dye all your sand in different buckets or do what I did and dye it bit by bit as you go along. Either way will work but if you’re limited on sand, I recommend the latter strategy. The easiest dyes are poster paint powders as this keeps everything nice and dry, but food colouring works too. If you’re dying the sand, the ideal sand is the white sort you can buy in arts and craft shops. Using Cardboard to enable the creation of folds or faults. …now you build up your strata on side of the cardboard with more accommodation space and keep building until you’re ready to fold them! – Pro tip number 2: in order to fault the strata, just use the cardboard to squash the sand from one direction. For folds, apply pressure to the top of the sand with your hand and also squash with the cardboard MUCH more slowly… I cannot stress that enough! This technique will result in awesome folds or thrust faults, I don’t know how to produce strike-slip or dip-slip ones… if you have an idea of how to do this, please share it in the comments box below! – Pro tip number 3: the cardboard also allows you to put in a nice, easy dyke or other cross-cutting structure. Now you’ve folded or faulted your strata, fill in behind the cardboard and fill the tank. I should say I didn’t invent this technique, I copied it from an old Open University video I saw many moons ago where the professor was attempting to explain folding and faulting using a massive sand-box model and a screw-and-plate piston, sadly I cannot find said video now. 15/10/2012 Update: While I still cannot find the OU video; This video from the Structural Geology RWTH-Aachen YouTube Channel gives you some idea of the process. 7. The Surface: Lastly for the construction phase, add a layer of Flock (if you wish) and diorama-ize your surface layer! Lichen works for bushes. Trees, animals, buildings and people can be bought at any rail modelling supply shop, or online. 8. (For the Geology Nerds/Geologists): Have a ball labelling your gorgeous creation! Here are my three labelled sides for your amusement. I used PVA and printed labels alongside a permanent OHP marker for the annotations/symbols. The glorious, labelled front side of the model. showing a lot of stuff.. When you’re done you can sit back and enjoy your handiwork, some people have said this would make an awesome coffee table… I think they’re right, get a nice glass top for it and you can be explaining geology to your in-laws over coffee in no time! I hope you enjoyed this post and have fun making your own geological masterpiece! Share pictures in the comments, especially if you have some new ideas, or fix the strike-dip-slip faults problem! This entry was posted in Education, Geology, Museums and Institutions, Science and tagged Arts & Crafts, Education, Geology, geology model, geomorphological features, geomorphology, Models, nicolas steno on October 7, 2012 by Benjamin Brooks. Missed the previous Dispatches from Montana? see them here and here. Well I’m back in jolly ol’ England and as promised here’s the photographic edition of the Dispatches from Montana. I’ll try to explain all the photographs as and where they need it. First off here’s the field crew as a group, Liz was the crew chief (the dig boss if you will) with Cary as second in command, Denver was the only other member of MOR staff with us. Danny, Will, Nick, Tom, Dana and Bobby were all undergraduates of various universities and Cracker is the Redding family’s dog. On my first night in Montana we had a fabulous thunderstorm which provided ample opportunities to get frustrated by human/camera reaction times, the above and below pictures being the best results I could get that night! Before the storm hit however I was just able to snap this shot of the Redding Field Station’s camp, you can just make out the storm-clouds to the left (south-west) and our flimsy patch of tents to the left of the quansit hut (the grey WWII hangar style building). The practically-bomb-proof ranch house is out of shot on the right. And here’s a view from inside the quarry itself, to give some more perspective on it and also to show you how much of the overburden mentioned in “The Adventure Begins” we had to remove… at the start of the field season, ground level was at the level of the white-grey sandstone layer! This photograph zooms in on the area that I and two of my compatriots were working (on the right of the previous picture). I myself was working the middle section with the chisel, brush and oyster-knife. It is a surprisingly slow process because you never know when you will hit another fragment of bone (as Nick, working to my left, was finding out. every piece of tin-foil represents another bone uncovered). Another panoramic photograph for you now, this one again showing Kennedy Coulee, but also some lovely Virga – that is to say rain that evaporates before it touches the ground – to the north of the site. Here’s another photo of Cracker – affectionately known as the Cracker-the-quarry-dog, enjoying the sun and generally getting in the way! So moving on to more palaeontological topics, here’s a field jacket… It’s what you do to the finds before they get transported to a museum or prep-lab. The first step is to cover all the bones in a consolidant (Vinac in this case) then a layer of wet tissue (to act as a buffer and a barrier to the next layer. Finally a mixture of plaster of paris is concocted and infused into burlap (hessian for us UK people) sacking. This was the first field jacket of this year’s season to be excavated. A couple of days after the jacket was made it was dry and ready to flip (in order to remove excess rock and jacket the bottom). Here’s a photo of Dana with the flipped jacket. You can also see where it stood before it was flipped! Here’s another panoramic shot, this one taken at lunch time (hence all the sleeping dino-nerds) from above the working face of the quarry on the penultimate day of my short stay at the Redding Field Station. This entry was posted in Geology, Museums and Institutions, Palaeontology, Science and tagged Earth Science, Geology, hadrosaur, kennedy coulee, Mesozoic, Montana, Natural History, Palaeontology, Paleontology, rudyard montana, Science, vertebrate palaeontology on June 28, 2012 by Benjamin Brooks. Hadrosaur! – Dispatches from Montana 2. After digging away the overburden and flattening out the top of the bone bed, we began to prospect within the quarry for dinosaur remains and very rapidly the first bone was discovered, though accidentally and unfortunately with a jack-hammer… with predictable results. This bone was a humerus of a fairly large individual hadrosaur. Within ten minutes of this find the second bone was discovered – this time by more mild means – and turned out to be a toe-bone, though don’t let that fool you into thinking it small, this one individual phalanx measured in the region of fifteen centimetres in length and a good ten in diameter! I myself managed to uncover my first bone this afternoon after a slow but steady removal of the bone layer. The technique used by the MOR team is that once the overburden is removed, each digger chooses a section of the quarry wall measuring approximately two feet. The digger then proceeds to remove rock steadily decreasing the height of a flat plane with hand awls, chisel, hammer and brushes. Yes; that’s right, every palaeontologist that points to Jurassic Park and say’s “you can’t use a brush to uncover a fossil” is wrong, dead wrong* – at least in this case! The only time digging is stopped is when high noon is reached and luncheon begins – consisting mainly of whatever you remember to scrounge from the kitchen supplies in the morning! After the first half an hour or so of lunch most people are fast asleep, taking the opportunity to make up for the early start. I on the other hand take the opportunity to rifle through the ever building spoil heap for small fossil remains that were inevitably missed during the overburden removal. The last two days have been moderately productive in this vein, with several pieces of turtle – including shell, a tyrannosaurid pre-maxillary tooth and a ceratopsian tooth. The whole experience here at the MOR dig is a very different one to the excavations I’ve been privy to on the landslips and beaches of Dorset and Devon, for one thing everything is more considered and slow owing to the fact that there is no tide to keep a look out for and also that no-one would dare walk onto a museum-run site and remove material that had not been collected. As a result the excavations are both more comprehensive and far more scientific. This is not to cast detriment on my experiences at home as each site must be treated differently, but this approach is far more in keeping with the principles of scientific discovery. Every bone is mapped, numbered, catalogued and carefully consolidated long before there is any thought of removing the bone from its tomb. Anywho, tomorrow is our town day, the one day off we get each week, so I’m now going to disappear and take some time out. Here’s hoping you’ve enjoyed this post, and as with my last I’ll add pictures upon my return to the UK. *This group used to include me. This entry was posted in Geology, Palaeontology, Science and tagged ceratopsian, Fossil, Geology, hadrosaur, Montana, Museum of the Rockies, Palaeontology, Paleontology, quarry, rudyard montana, tyrannosaurs, USA, vertebrate palaeontology, vertebrate paleontology on June 18, 2012 by Benjamin Brooks. Once again it’s been a while since I last posted, the talk that was the subject of my last post went very well, even if the staff only talk only had one attendee – the Chief Executive of the Craven District Council. The public talk fared much better with most of the volunteers turning up and one or two members of the public as well. Everyone seemed to enjoy the talk and the handling session held afterwards, though I don’t know that for certain! I haven’t yet uploaded any video of the talk, mainly because the video is awful and I haven’t had time or a good enough computer recently (sadly my top spec’ laptop died a death out of warranty). However just as soon as I can I’ll get it on YouTube. Moving on however, the three months I spent at Craven Museum were fantastic, I learned (and re-learned) a great deal and even got to handle some Geological enquiries. Museum Curation is definitely a career path for me to head down and I know I’ll enjoy it. Before I chase down a new job and the start of a new career, I’m heading stateside for three weeks. I’ve been lucky enough to be offered the chance to join the Museum of the Rockies field crew digging up Hadrosaur remains from the Cretaceous rocks near Rudyard, Montana! Which is what I’ll be doing for the first three weeks of June! 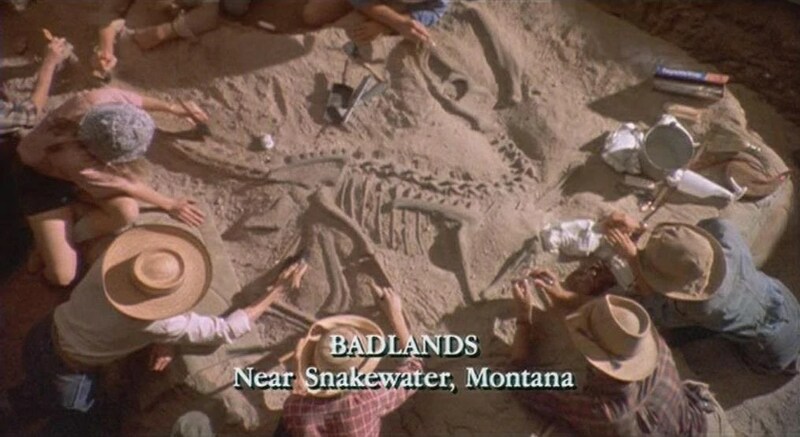 This should be an awesome experience, I’ll get to take part in a full-on palaeontological excavation (think the opening scenes of Jurassic Park – for all the errors it’ll still give you the idea). I’ll also have the chance to see part of the USA properly – albeit a very limited part – and meet some very clever people who’ll no doubt be far more awesome than me… shouldn’t be that hard to be fair. I’ll also be taking my cameras and will be writing a diary while I’m out there, so I’ll be able to give you all a lovely looooong post about it all when I return at the end of June – possibly even while I’m out there?! 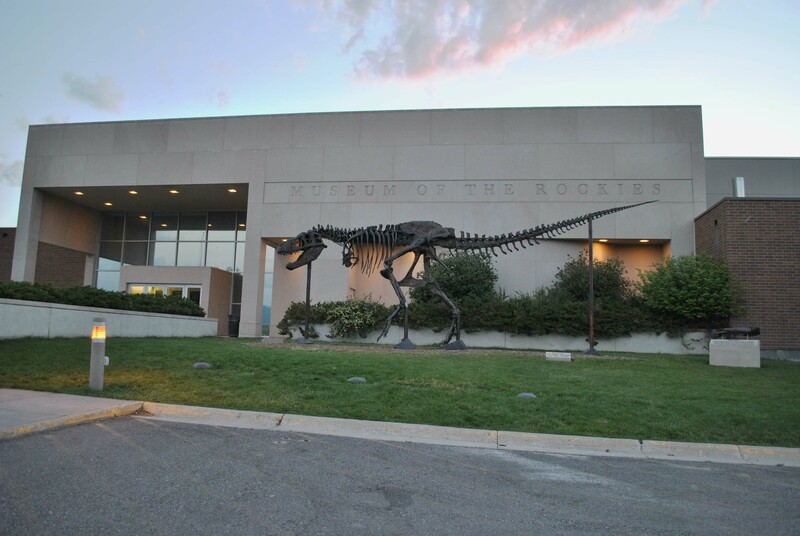 This entry was posted in Comment, Geology, Museums and Institutions, Palaeontology and tagged Cretaceous, Dinosaurs, Geology, Hadrosaurs, Jurassic Park, Montana, Museum of the Rockies, Palaeontology, Paleontology, rudyard montana, travel, United States on May 24, 2012 by Benjamin Brooks.